I remember hearing it on some radioshow back in the days and immediately fell for it. That guitarrsound (or whatever to call it) sets the mood together with the atmospheric strings. Sooo epic! Solarstone started out as a trio with Richard Mowatt, Sam Tierny and Andy Bury back in 1994 but their major break came first with the classic anthem Seven Cities in 1999 on Hooj Choons (owned by Red Jerry). The track became an instant classic and has been re-releases a few times over the years with the latest in 2009. Sam Tierny quit Solarstone in 1997, just before their big breakthrough though. The first release contained the Atlantis Mix and the V-one Remix (by Airwave). The 2000 release contained a stompin’ Michael Woods Remix but the most famous remix by Armin Van Buuren came first in 2002. The chant in the track comes from the track Tintinnabulum by Adiemus. If you listen to Seven Cities in swedish, it sounds like ”hej, vi packar bajs” which roughly translates to ”hey, we’re stuffing poop”. Rumour has it that the guitarr-riff is picked from an Australian 80´s band called Kids In The Kitchen and their song Change In Mood. Seven Cities was a major chart-success all over europe and made it to the top 40 in several countries. A cool fact is that the V-One Remix is said to be the last track Paul Oakenfold ever played during his residency at Cream. Talk about going out with a bang! 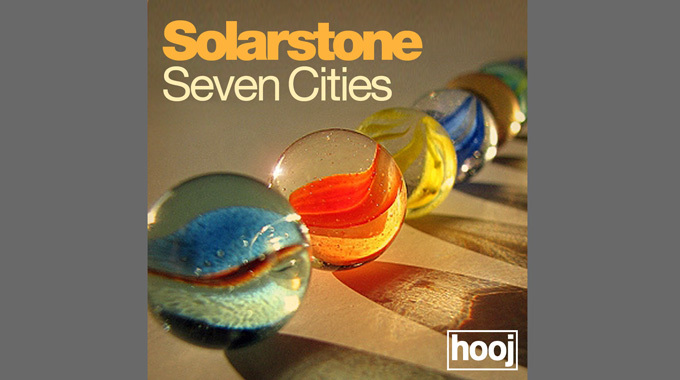 Since the release of Seven Cities we’ve seen loads of gems from Solarstone. Seven Cities was followed up with the single Speak in Sympathy (with vocals from Elizabeth Fields) in 2001. 2002 was the year of the epic EP Solarcoaster / Green Light. The spoken lyrics in Solarcoaster is by Patricia Arquette and sampled from the Quentin Tarrantino-movie True Romance from 1993. Greg Murray, Steve Murano and Midway. I love the original but the Midway remix lifts the track to a completely new level, especially with the spoken lyrics exactly before the big breakdown. It gives me chills just thinking about it. Solarcoaster was followed by 3 singles together with Scott Bond. 3rd Earth, Naked Angel and Red Line Highway, all released in 2004 and as Scott Bond vs. Solarstone. In 2005, Richard Mowatt started his own sublabel, Solaris Recordings, a sister to the legendary record label Lost Language and from now on all his releases came out on this label. The first track on the new label was Eastern Sea in 2005. and came with remixes by First State, Martin Roth and M.O.R.P.H. vs Scirocco Mix just to name a few. The track did fairly well on the dancefloors. Solarstone – AnthologyOne, the first studio album came out in 2006 and was a Greatest Hits-album and contained all the classics so far. This was also the year that Andy Bury droped off so now it was only Richard Mowatt left. The same year the single Like A Waterfall was released and featured Jes on vocals. I just love Solarstone’s Deeper Sunrise Version, it’s a pity that it isnt available on Youtube though. 2007 saw the re-release of 1997 single ,The Calling (with Kimberley Marsh on vocals) with new mixes by Orkidea and Jonas Steur. Both remixes are really good but I prefer the Orkidea Piano Mix. The single, Late Summer Fields (together with Alucard) came out the same year. A cool fact is that the vocals are actually sung by Richard Mowatt himself. The track was re-released in 2009 with an additional remix by Ferry Corsten. The followup-single was Rain Stars Eternal which came with an epic Agnelli & Nelson remix. The same year saw the release of Solarstones second album with the same title. The album also featured the singles 4ever, Spectrum and Part Of Me (with vocals by Elizabeth Fields). The Album was followed by the remix album, clevery called Rsemix with great remixes by Probspot, Ferry Corsten and Forerunners just to name a few. 2010 saw the release of the third album, Touchstone and the single with the same name. The single is abit back to basic with major guitarr-riffs like back in the old days. Listen to the Aly & Fila remix, it’s gonna be a huge classic in a couple of years. The same year also saw the collaboration between Solarstone and Orkidea with the track Slowmotion, and also the single Electric Love (with singer Bill McGruddy). The singles were followed in 2012 by a new remix-album simply called Touchstone Remixed with remixes by Vadim Zhukov, Tucandeo and Dennis Sheperd just to name a few. Solarstone has also found the time to remix some classics back in the days. How about these? Richard was also a part of Young Parisians (together with Andy Bury) who did the 2005 anthem Jump The Next Train. My feeling is that Solarstone will be around for another decade. As long as he keeps that special touch on the tracks, the success of his old and new tracks will live on forever. One Response to " Classic for the weekend: Solarstone – Seven Cities (Atlantis Mix) "